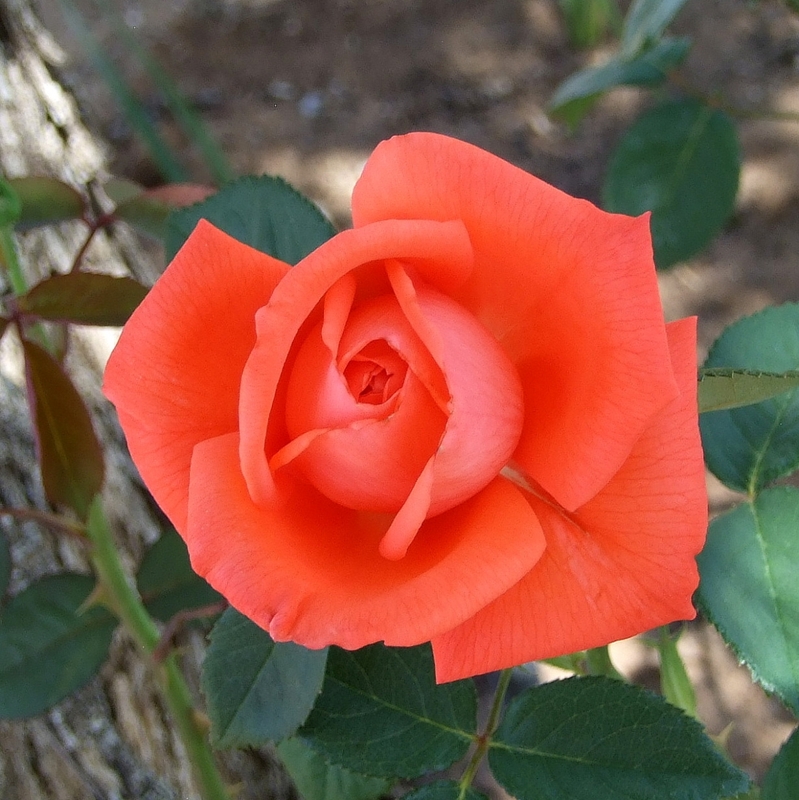 When we moved to the Desert Southwest, I was amazed to see how well roses thrive here, pretty much pest free. Most of the roses I have dealt with were when my husband and I lived on the east coast. There the roses were constantly having to be sprayed to try to ward off all sorts of pests and diseases: black spot, powdery mildew, hordes of aphids, armies of Japanese beetles, etc. etc.. Since I try to go organic whenever possible, I did grow roses, but they were the very hardy “nearly wilds” and rugosas. I did occasionally have to spray them but always with an earth friendly solution. So it has been a real pleasure to see all the roses grown here. I, myself, have three in large pots that are blooming up a storm right now.